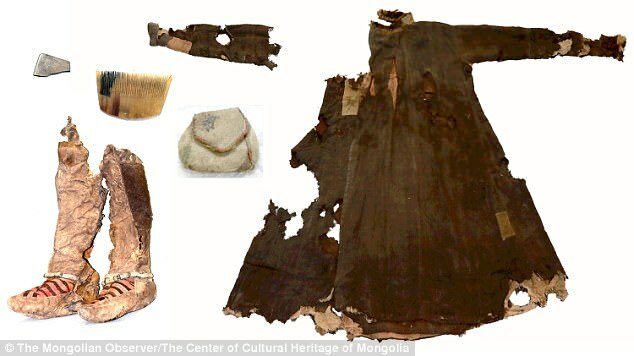 A thousand-year-old Mongolian woman mummy was found buried in Mongolian mountains wearing “Red Adidas Trainers” and with a knife whose shine was still intact, who died after a monstrous blow to the head. The woman found buried was in between her 30’s to 40’s and must have gone to her next life wearing bright red colored Adidas trainers. We can easily guess that she was fond of her materialistic possessions as she was found buried with a clutch bag, a comb, a mirror, sewing kit, 4 changeable clothes, a horse and a saddle. Despite her luxurious material possessions, archaeologists doubt about she being a royal or elite member. Archaeologists are considering this woman as an ordinary woman of her period. But the most incredible thing about this mummy despite her lavish material possessions is that she was wrapped beautifully keeping her possessions intact. 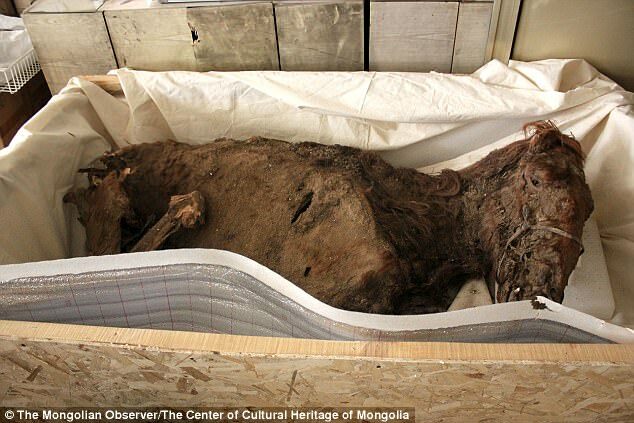 As she was buried in cold mountains so even the fabrics did not go through any biological reaction.The body was found in Mongolia’s Altai mountain which is 2,800 m above sea level and it is almost zero degrees in the cave where she was found. Archaeologists also believe that the cave was part of the ancient Turkic burial site. Though after analyzing the body properly experts have changed their view and have come to a conclusion that she was wearing a simple footwear with three white stripes to hold the footwear in place.